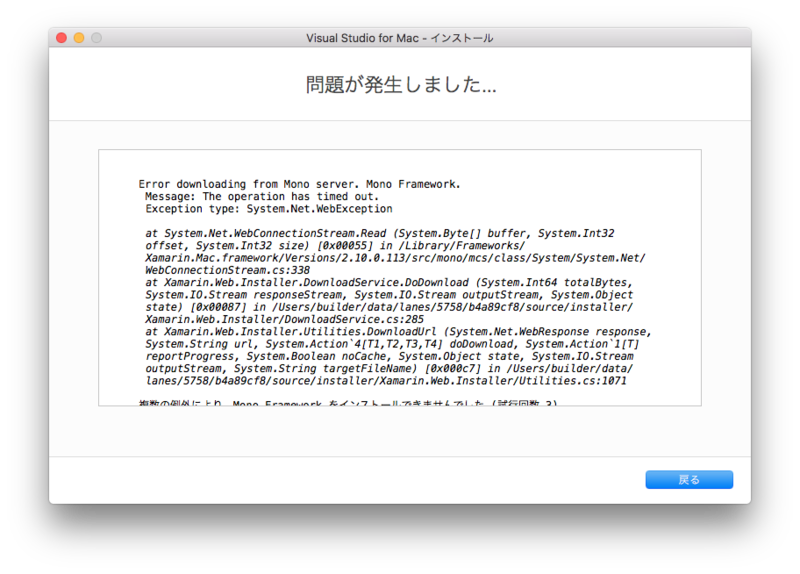 Error downloading from Mono server. 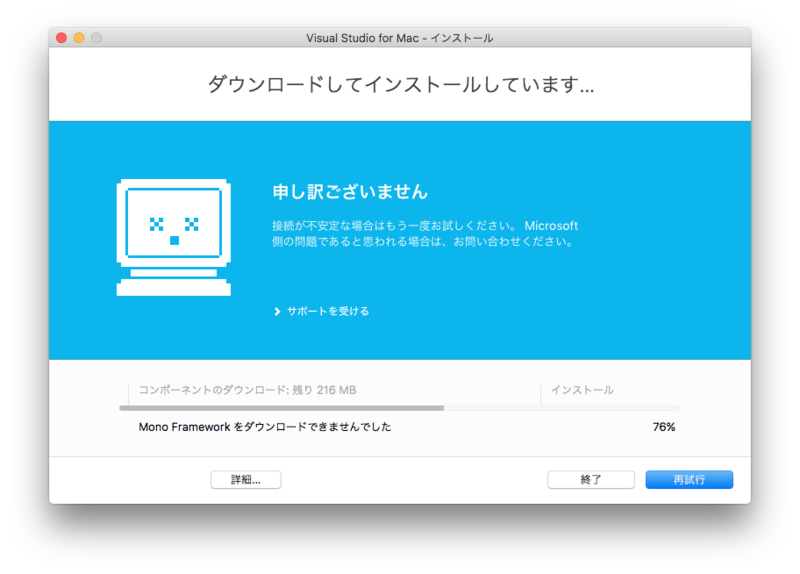 Mono Framework. Message: Some installation errors are present. [2018-01-06 05:32:52.857] [Info] Mono Framework is waiting for download to finish. [2018-01-06 05:32:56.236] [Info] Downloading from 'https://dl.xamarin.com/MonoFrameworkMDK/Macx86/MonoFramework-MDK-5.4.1.7.macos10.xamarin.universal.pkg'. [2018-01-06 06:09:44.133] [Exception] System.Net.WebException: The operation has timed out.